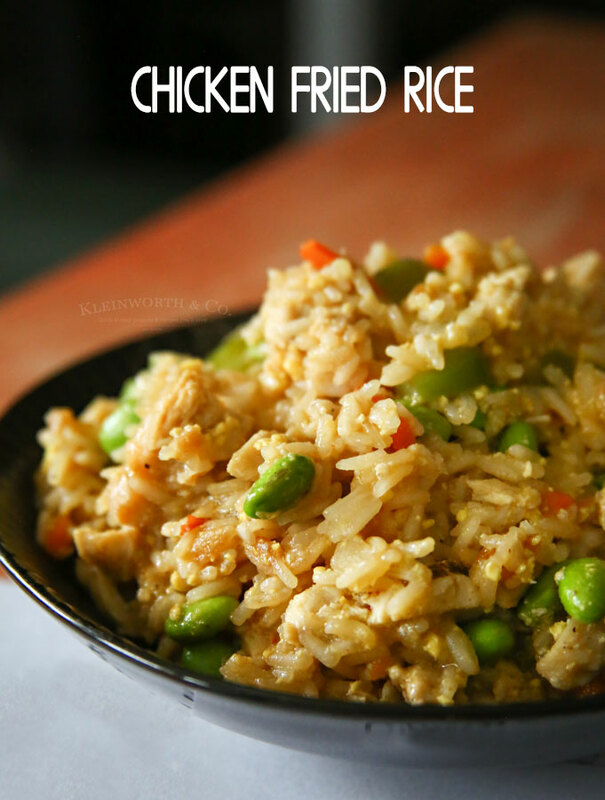 Chicken Fried Rice – Restaurant Style- but even better! Hi friends! How are you? We are enjoying what feels like the last bit of winter here. While in reality, we have many more weeks of chilly temps here in North Idaho, it has been unseasonably warm & we have had more rain than snow this season. That doesn’t mean that I’m not making our favorite comfort food dishes. 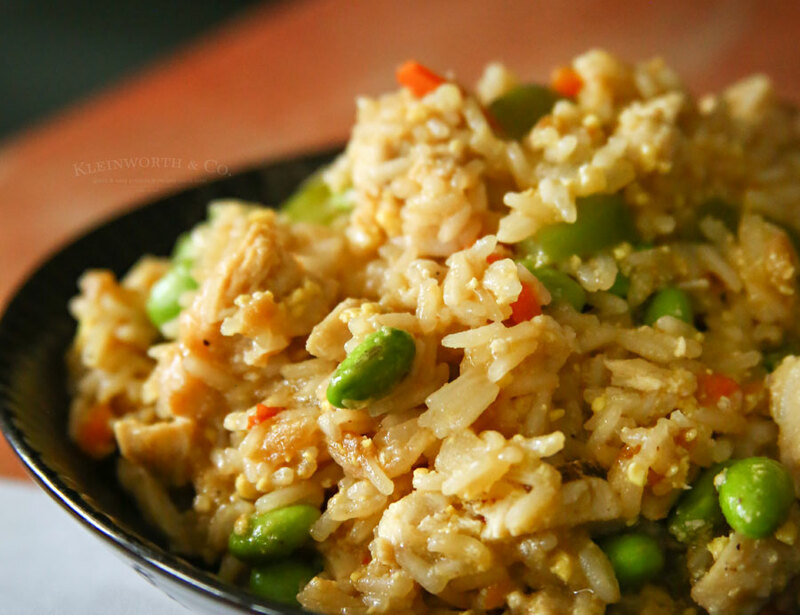 One of our “go-to” recipes is this homemade Chicken Fried Rice. 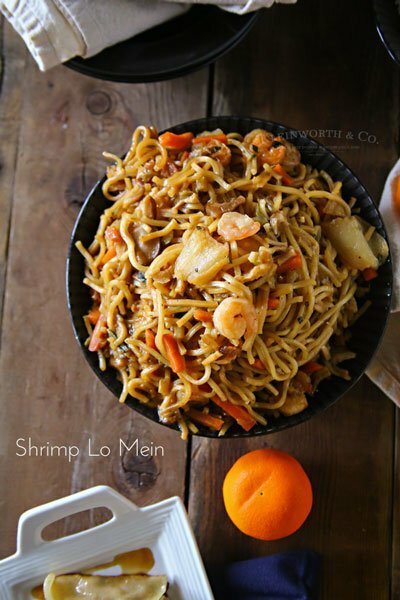 We don’t have a lot of really good take-out restaurants here & so over the years I have had to learn how to make all our of favorite dishes from scratch. 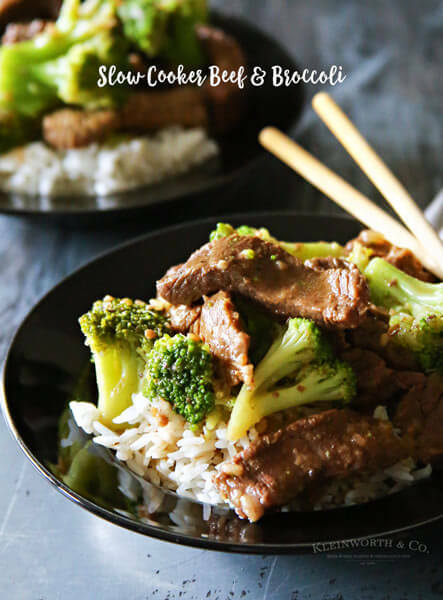 It’s been good for us because, while we really miss good take-out, this recipe is better than anything I can buy. 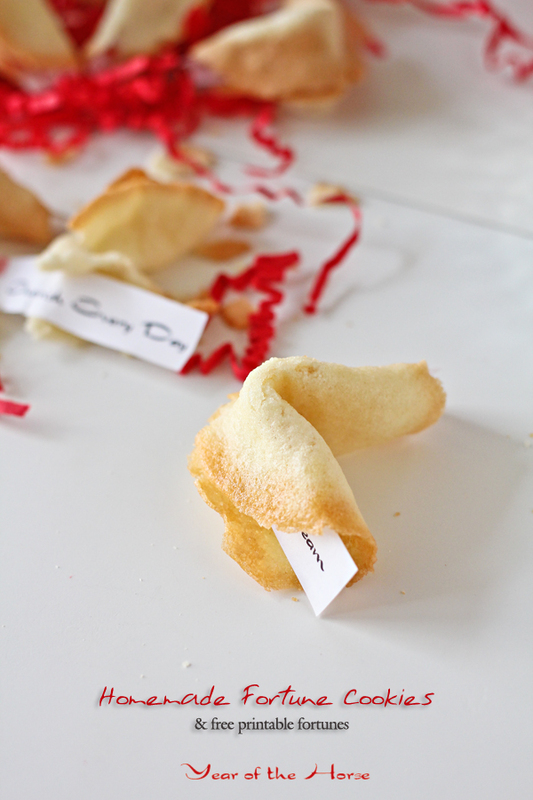 You’ll be surprised by how quickly this recipe comes together. You can make it even faster if you have a rotisserie chicken, leftover rice & use canned veggies instead of fresh or frozen. It’s really up to you & how much time you have. But even without all those shortcuts, this still only takes about 40 minutes. That’s not too bad considering the main dish takes about that long too. Unless of course, you make a delish slow cooker recipe to pair this with. That sure makes dinner quick & easy. 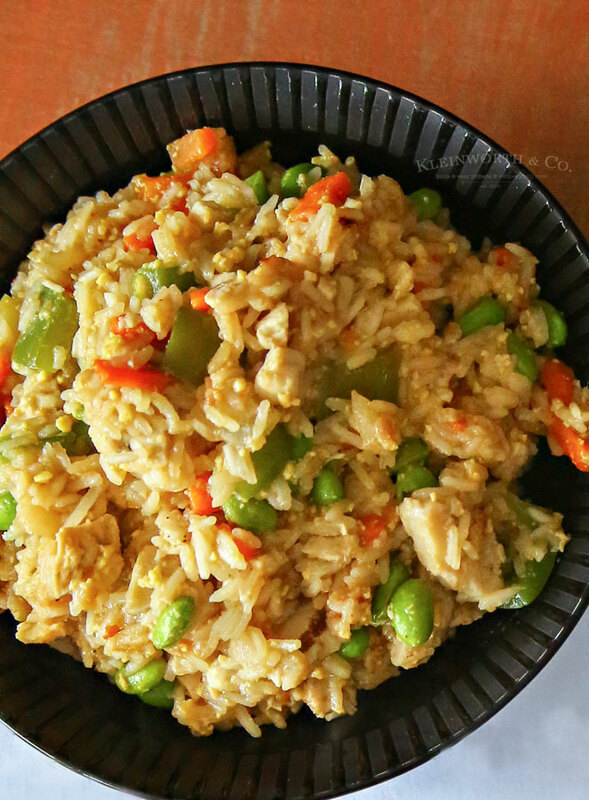 If you love love fried rice, you will love this recipe. Feel free to substitute or swap veggies based on your liking. That’s what I love about this recipe, I can pick & choose what to toss in based on what I have on hand or what everyone is craving at the time. In a saucepan, combine rice & water. Bring to a boil. Reduce heat, cover, & simmer for 20 minutes. In a small saucepan, boil veggies until soft, remove & drain. Set aside. Add in oil, then stir in veggies & chicken; cook about 30 seconds. Crack in eggs, stirring quickly to scramble eggs with vegetables. Add in soy sauce & toss rice to coat. Drizzle with sesame oil & toss again before serving.